At Home Beauty Therapy - Beauty Salon New Farm offer clients a full range of professional beauty services in the privacy and comfort of your own home, with treatments convieniently available by appointment 5 days till late. At Home Beauty Therapy are highly skilled with over 16 years professional beauty therapy experience and use only the highest quality beauty products. 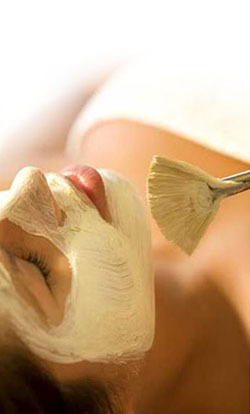 At Home Beauty Therapy - Beauty Salon New Farm specialise in Hens Parties, Mothers Groups, Ladies Pamper Parties, Mother-Daughter-Sister Pampering, Kids Pampering (8-12 years), Couples Packages, Spray Tan Parties, Mens Packages, Bridal Packages, Special Occasions.